College students collect lots of insightful morsels of knowledge that add to their understandings of their chosen field of study. Unfortunately, many graduates can’t conceptualize the wider context of information and this limits their ability to integrate new information for higher practical application. A study by Annavarjula, et. al. (2014) explores the beneficial practice of creating integrative curriculum blocks to enhance international business education learning. Integrative learning helps students to make connections between personal experiences and multiple pieces of information learned in the classroom to deeper embed concepts for practical use. When integrative learning is strong it can help students visualize, understand, and overcome difficult problems by using creativity across different spectrums. Integrative learning is important to international business students as the complexity of understanding world markets can bury even the brightest of minds. Having a mental framework for understanding how international business functions requires knowledge of accounting, treaties, marketing, management principles and many other fields synthesized into an idea of the whole. Integrative learning helps students make deeper and further reaching connections among the different business sectors to solve important business problems. Integrating the self with this knowledge furthers the student’s preparation for successful employment in multi-national organizations. 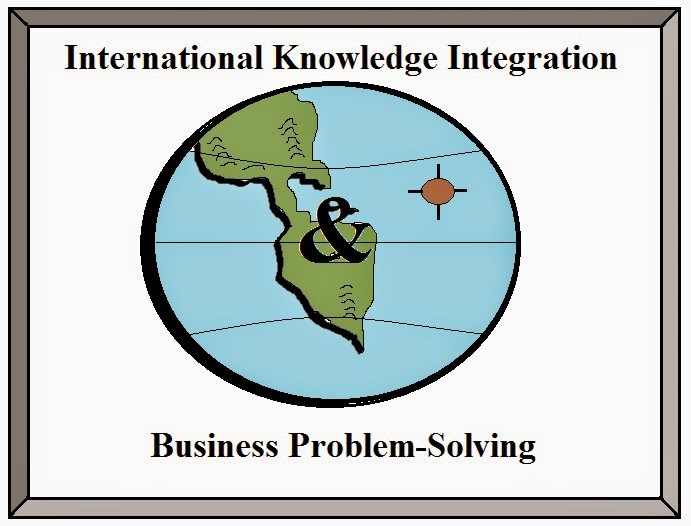 Problem solving through making connections between seemingly independent elements has its advantages in commerce (Kovalik & Olsen, 1994). Graduates with less integrated knowledge may be confused by how or why certain influences are impacting the business environment while the highly integrated graduates can understand the interrelated sources of those influences. The process in the study worked by having teaches stay with students longer in the program before new teachers were introduced. This is different than having teachers change with each course. Integrative blocks were used that included curriculum, business strategy simulation game, guest speakers, joint class lectures and coordination of faculty efforts. Learning integration of knowledge is something some students can do on their own while others need proper guidance to put the information together. Offering various perspectives on business issues and practicing through strategy simulation will help solidify the information. Bringing in outside speakers encourages a variety of perspectives on similar topics. The report doesn’t discuss online education but many of the principles found in ground-based university systems also apply to online classrooms. Guest videos, teach a cohort of students through multiple courses, properly sequencing courses, ensuring classrooms reflect multiple nationalities/cultures, and if/then game simulation are more easily managed in online courses. Annavarjula, M. et. al. (2014). Use of integrative curriculum to enhance international business education. International Journal of Education Research, 9 (1). Kovalik, S, & Olsen, K. (1994). ITI: The model. Integrated thematic instruction (3rd Edition). Kent, Washington: Books for Educators.